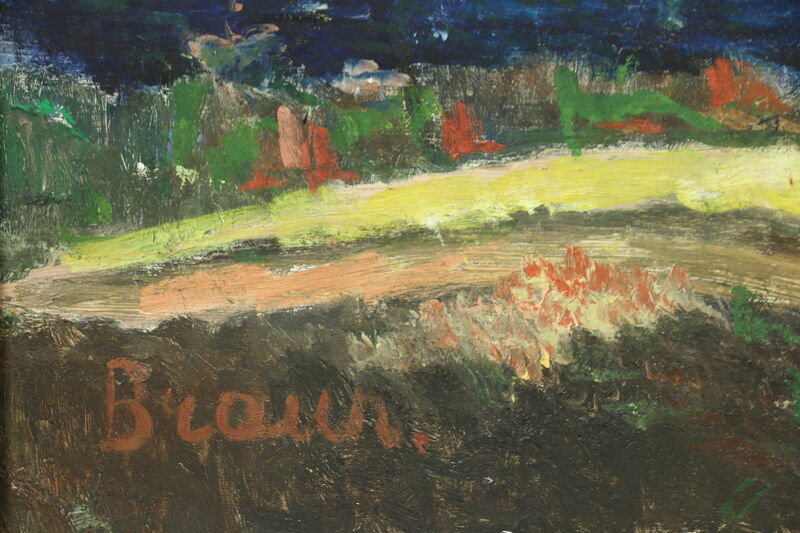 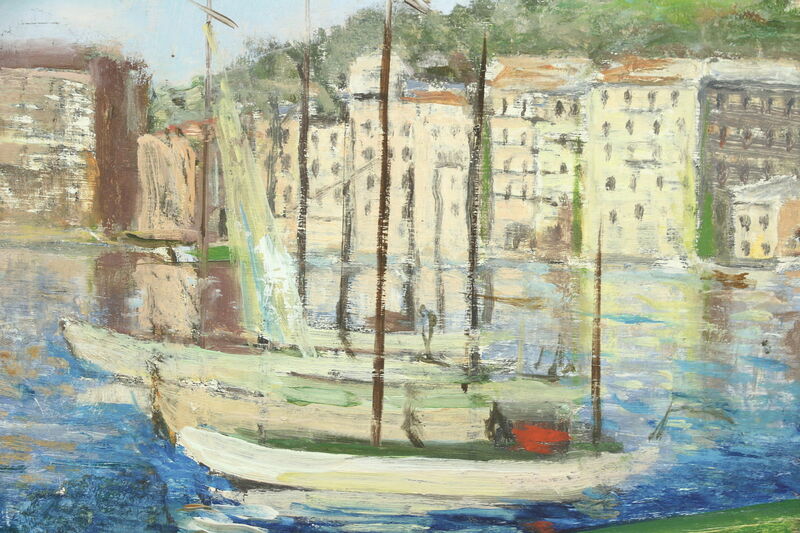 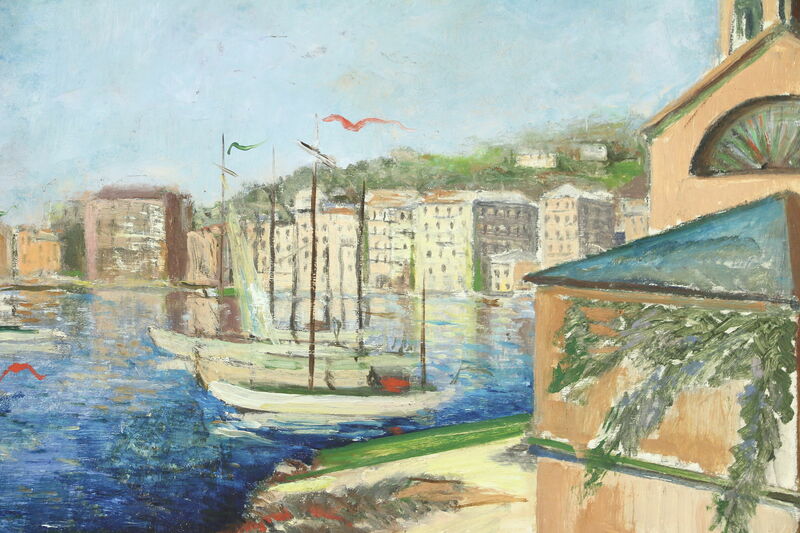 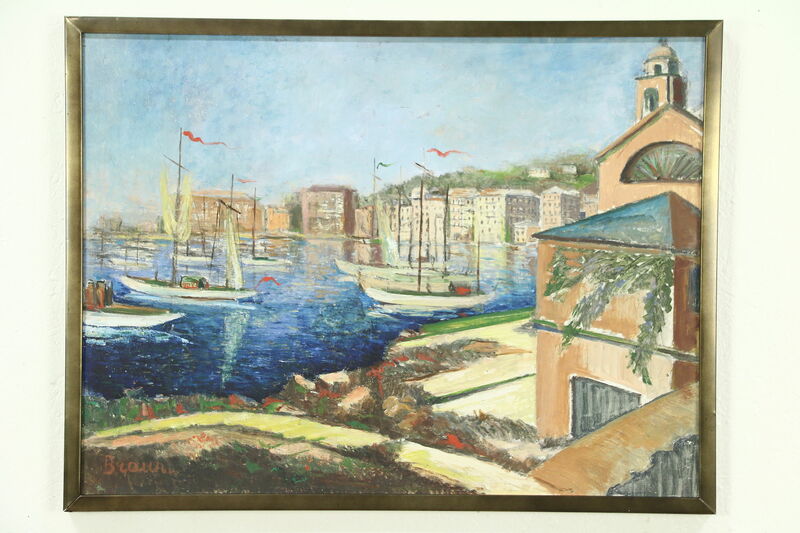 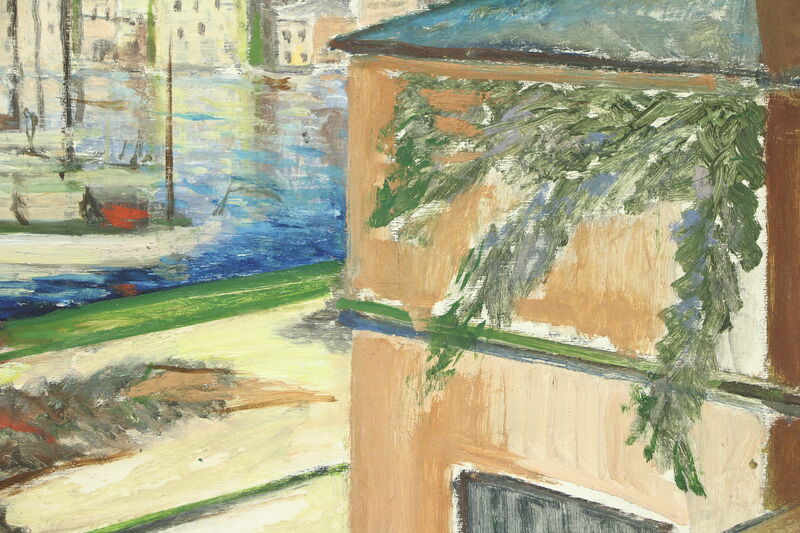 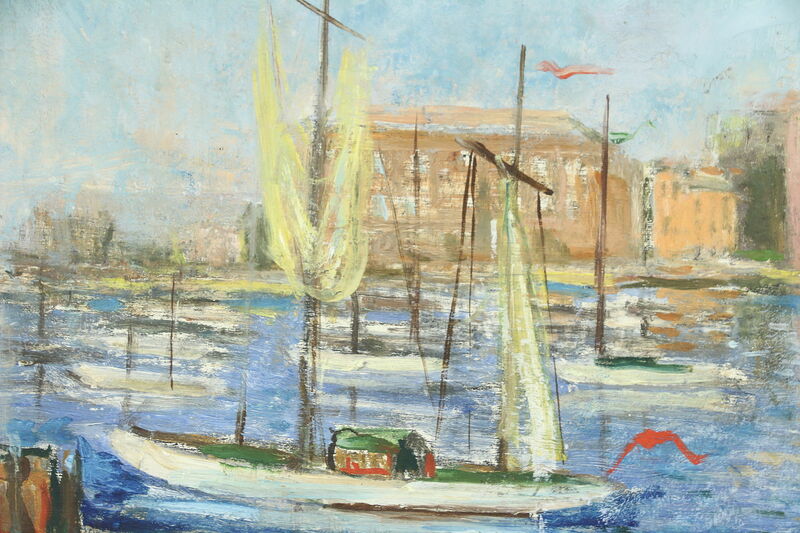 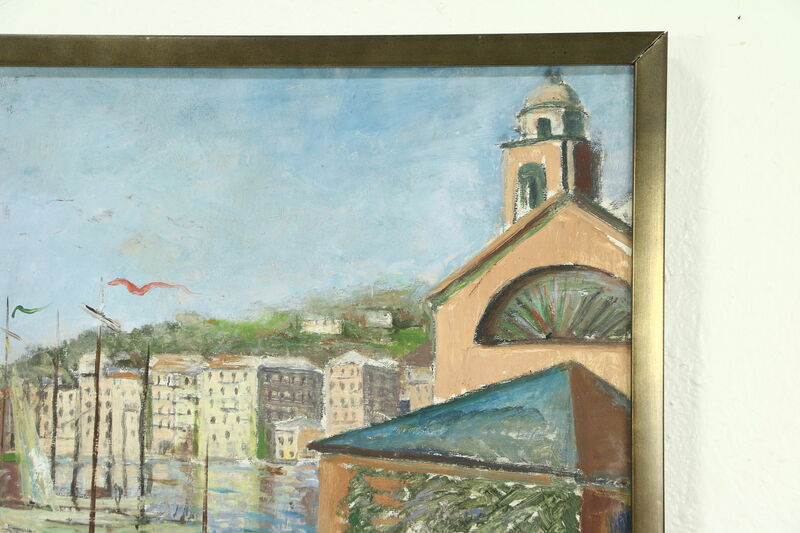 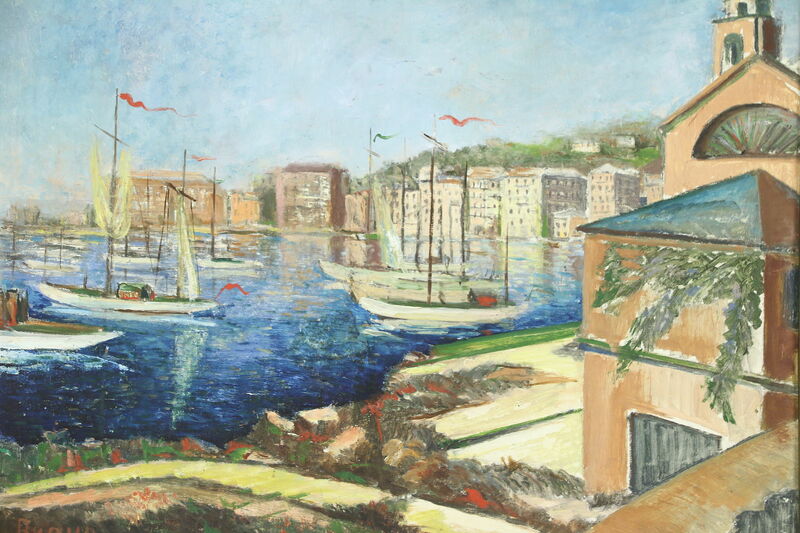 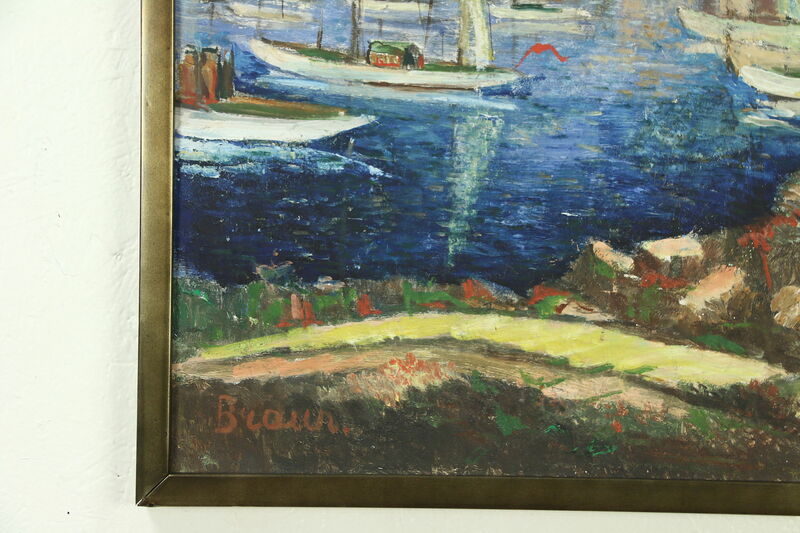 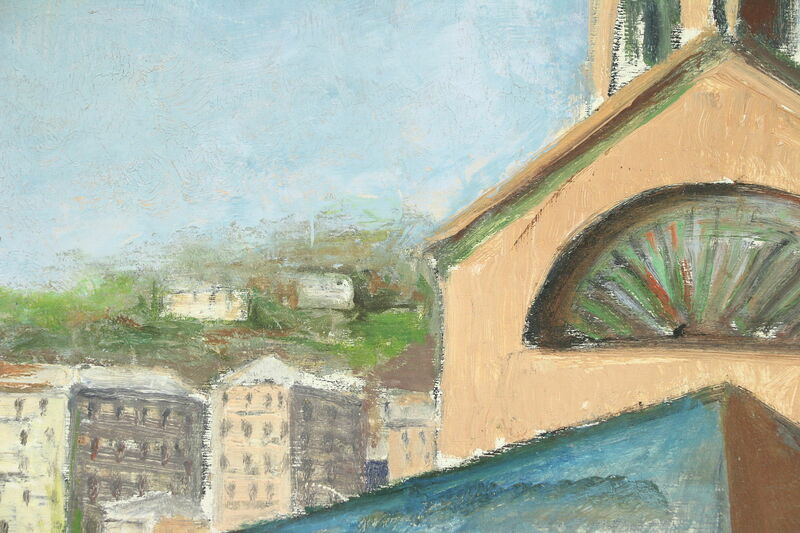 About 40 years old, this bright harbor scene is an original oil painting on board from France, signed "Braun." 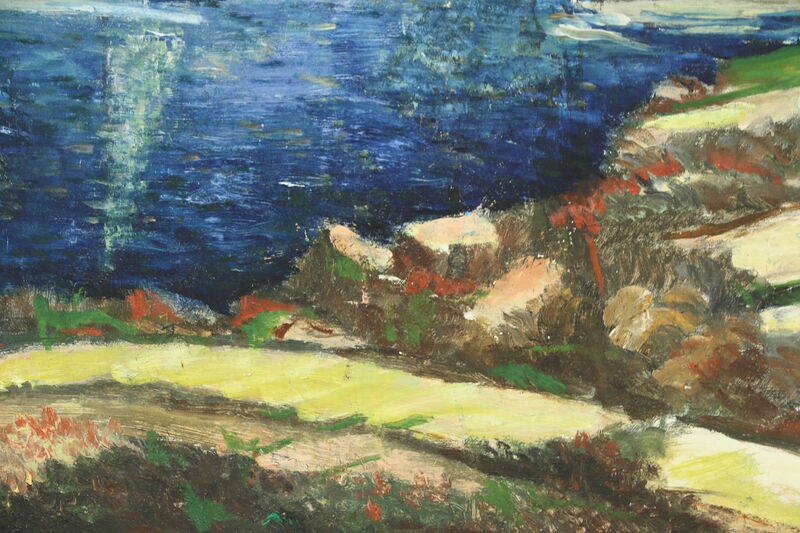 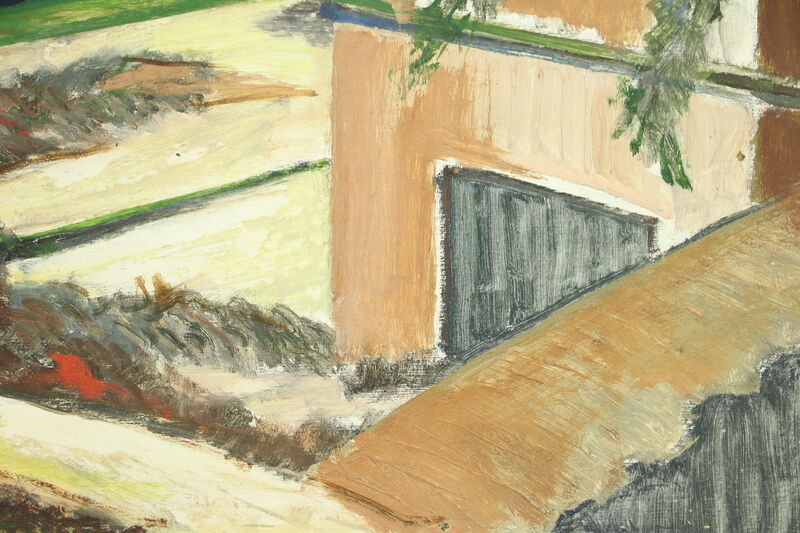 The sunny scene is enchanting on this vintage work of art. 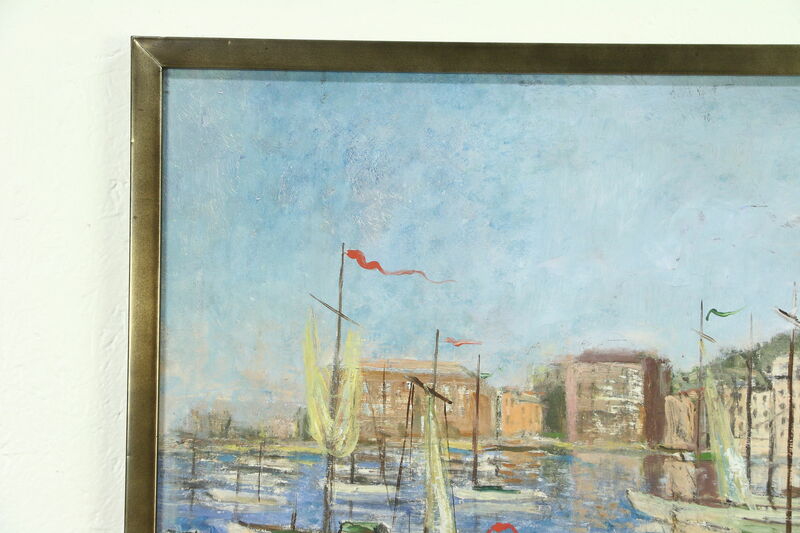 A bronze toned frame is original. 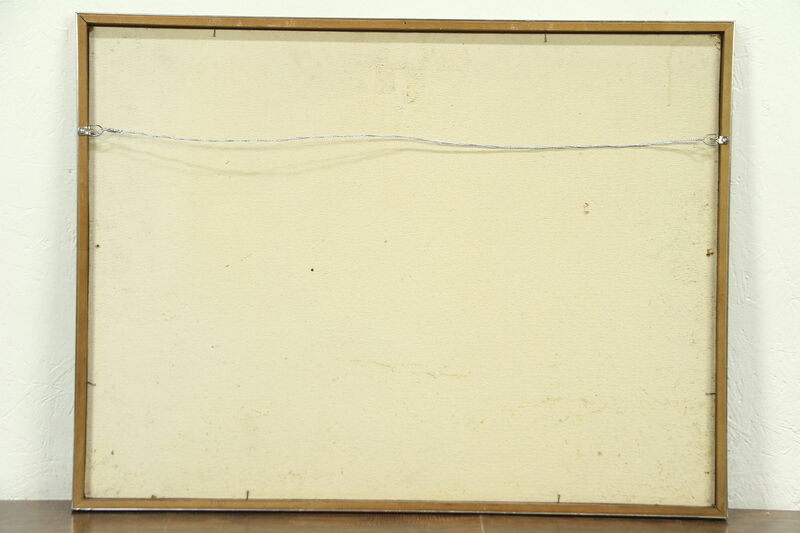 Overall size is 25" tall, 33" wide and 1" deep. 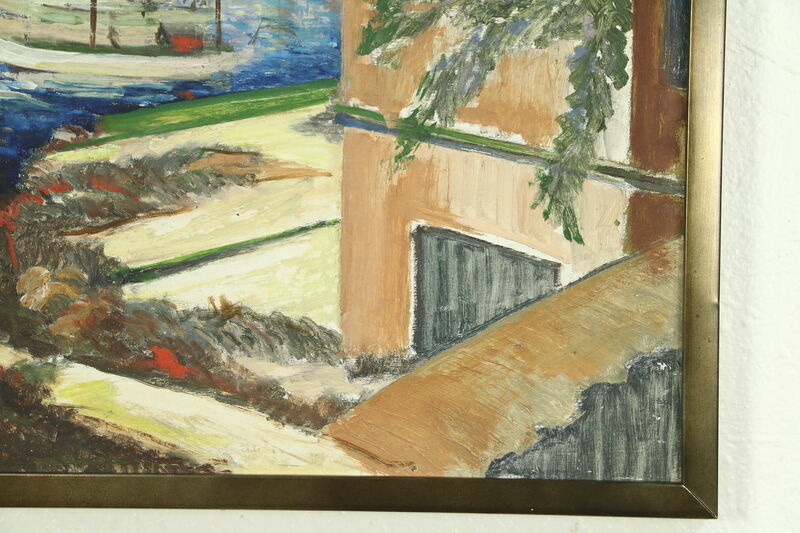 Please view 15 photos at full screen size for best detail.